RB Innovations 1/5th Scale Supercharger « Big Squid RC – RC Car and Truck News, Reviews, Videos, and More! Are you the type of person that can’t get enough power? Hey, we know how you feel, and so do the people at RB Innovations. RB has just announced their new Supercharger for 5th scale engines. 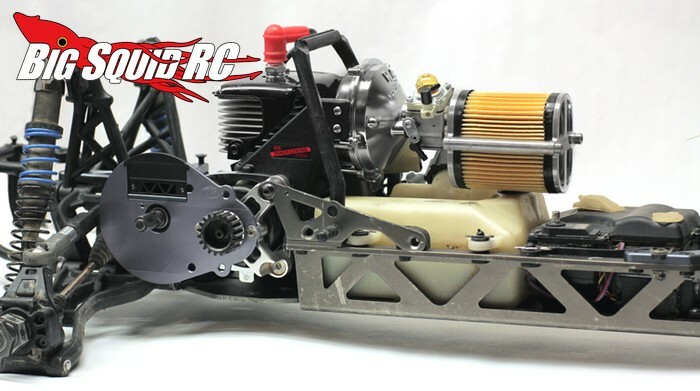 Whether you are a 5th scale drag racer, you drive in the dunes, or just want a LOT more power to bash with, the RB Innovations supercharger can help take your power output from mild to wild. The RB supercharger is made to bolt right up to CY and Zenoah engines and is built to last. The part number is #9450 and is priced at $275. HERE is the link you want for more information over on the official RB site. Looking for more RB news? Check out THIS LINK right here on BigSquidRC.